Every day when 29-year-old Zaheer Ali* leaves his house on his motorcycle to go for a reporting assignment, he has a nagging fear that this may be the last time he is seeing his family. “While I am on my bike, my eyes are darting in every direction. Such is the life of journalists in Pakistan. And the fear has only grown stronger. Ali, for one, thinks that in the last few years it has become harder for journalists to do their work. Between January 2013 and April 2014, seven journalists and three media workers were killed in Pakistan, said the “Press Freedom Report – 2014” issued by Pakistan Press Foundation (PPF) here on the eve of World Press Freedom Day. The report also said that 14 journalists were injured from January 2013 to April 2014. Many of the injured were either beaten by policemen or injured by violent people while covering processions and rallies. Other journalists mentioned in the report are living under the dangling swords of life threats. 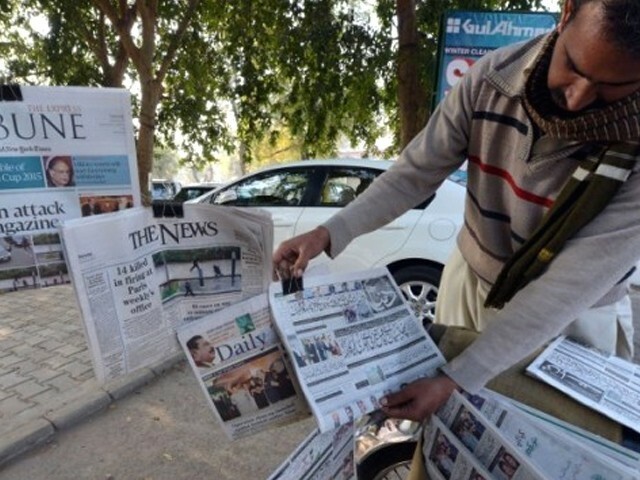 The World Press Freedom Index 2014, issued by the international non-governmental organisation “Reporters without Borders” earlier this year, termed Pakistan “long the world’s deadliest country for media personnel”, adding that for the second year running, the Indian sub-continent is the Asian region with the biggest rise in violence for journalists. The index calls the targeted nature of the violence “the most disturbing development”. The report ranked Pakistan at the 158th position out of 180 countries. 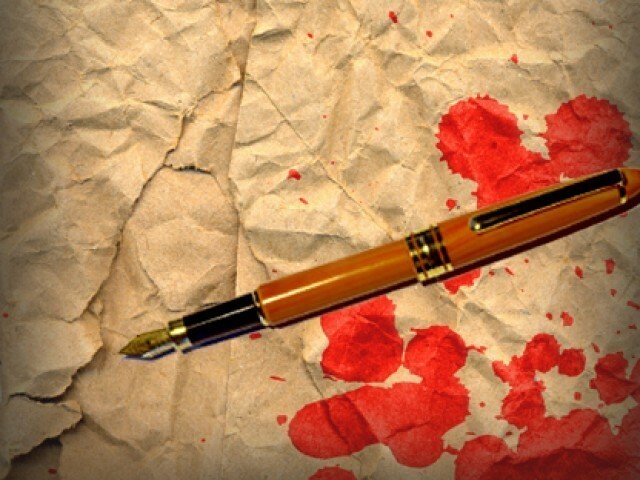 Just three days prior to World Press Freedom Day, a report, titled ‘A bullet has been chosen for you: Attacks on journalists in Pakistan’, was released by Amnesty International. This report revealed a startling statistic: an estimated 34 journalists may have paid the price for being journalists, killed because of their work since March 2008. The 3rd of May was proclaimed World Press Freedom Day by the UN General Assembly in 1993. This year’s theme for this day, as declared by the UN, is “Media Freedom for a Better Future: Shaping the post-2015 Development Agenda”. Published in The Express Tribune, May 3rd, 2014. Posted in Human Rights, Pakistan and tagged Amnesty International, Farahnaz Zahidi, Media, Pakistan, Pakistan Press Foundation, PPF, Reporters Without Borders, The express tribune, World Press freedom Day, WPFD, WPFD2014. Bookmark the permalink.